Each week, I like to feature a play therapist who has built an inspiring career providing play therapy in private practice in order to inspire other therapists who are just beginning the practice building process. I am also on a mission to continue building the world-wide community network of play therapists so that we can enrich our connections and resources. This week I want to introduce you to a highly skilled therapist who not only provides top notch clinical services on some very tough cases but also has served as a guiding mentor to four other professionals within her practice. 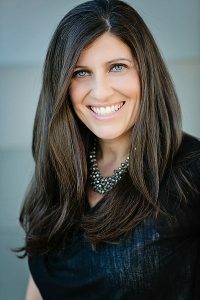 Lauren M. Gaspar, MSW, LCSW-S, RPT, EMDRIA Certified is the founder and director of Good Mourning Counseling Center located in Austin, Texas founded in 2005 where she has taught, supervised and mentored 4 professionals through the development of their careers. Lauren and her team of therapists provide play therapy and family therapy focused on traumatic grief, medical PTSD, abuse and assault, abduction, and related anxiety and depression. Lauren is also a Family Advocate for the National Center for Missing and Exploited Children. I have had the privilege of providing case consultation for Lauren and I was so impressed with Lauren’s clinical knowledge but also her professional savvy when it comes to decision-making in her practice. Lauren has managed to create a very successful small group practice and she takes her responsibility as a supervisor, mentor and director very seriously.